This document covers the basic installation and usage of the teTeX TeX and LaTeX implementation under the major U.S. Linux distributions, and auxiliary packages. Contents: Using teTeX; TeX commands; LaTeX commands; LaTeX extension packages; etc. LaTeX is particularly suited to the production of long articles and books, since it has facilities for the automatic numbering of chapters, sections, theorems, equations etc., and also has facilities for cross-referencing. The purpose of this manual is to start from the very beginning and to move towards more complicated situations. No previous knowledge of TeX is assumed. By proceeding a section at a time, greater varieties of text can be produced. 'The Computer Science of TeX and LaTeX' uses the TeX and LaTeX system to provide an introduction to a number of computer science topics. This book is based on the lecture notes of a course taught at the University of Tennessee. This book originally accompanied a 2-day course on using the LATEX typesetting system. It has been extensively revised and updated and can now be used for self-study or in the classroom. The audience is assumed to be computer-literate. 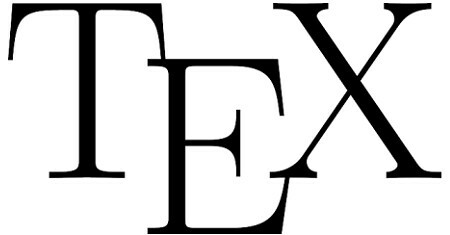 This is a reference work for the TeX typesetting language. It is valuable for people who want to write LaTeX macros and other customizations of TeX. The book is packed with original, practical, and useful ideas along with detailed explanations. A handbook that arose from the need to help technical writers learn TEX more quickly -- and once having learned it, to find fast answers to common questions. Clear, concise, and accessible, this book is organized for easy retrieval of information. This is the standard introductory text and complete reference for scientists in all disciplines, as well as engineers. This fully revised version includes important updates on articles and books as well as information on crucial new topics. This book guides you through the maze of tools available in the overall TeX system. Beyond the core TeX program there are myriad drivers, previewers, printing programs, documentation facilities, graphics programs, etc. This book describes them all. Many conventions you are using in the typesetting of plain text are inappropriate to maths. LATEX goes a long way to help you along with the style. This handout assumes that you have already read the Advanced LaTeX document. Contents: The Basics; The Document; Bibliography; Bibliographic Databases; Table of contents, Index and Glossary; Displayed Text; Rows and Columns; Typesetting Mathematics; Typesetting Theorems; Several Kinds of Boxes; Floats; and more. This book is for the mathematician, physicist, engineer, scientist, or technical typist who needs to learn how to write and typeset texts containing mathematical formulas, and requires a reference book on all aspects of LaTeX and the AMS packages. LATEX is a typesetting system that is very suitable for producing scientific and mathematical documents of high typographical quality. This short introduction describes LATEX 2e and should be sufficient for most applications of LATEX. This book provides CS graduate students an introduction to technical writing and presenting with LATEX, which is the de-facto standard in computer science and mathematics. They are presented with techniques for large documents and presentations. LaTeX is a macro package created to typeset documents attractively and consistently. This guide to the LaTeX markup language can serve as a useful resource for everyone from new users who wish to learn, to old hands who need a quick reference.